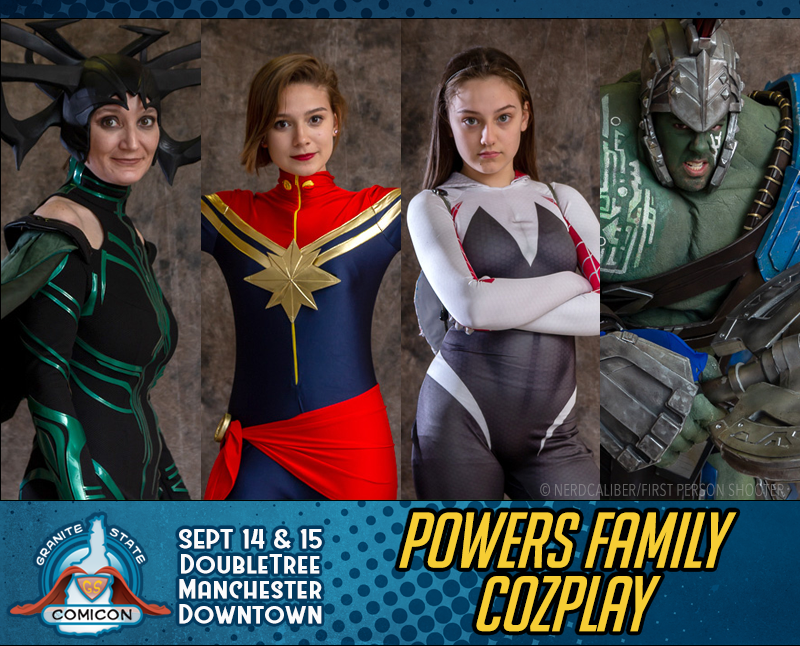 Based out of Vermont, the family of Hannah, Emma, Carrie and Mike came into the world of cosplay six years ago when the family thought it would be fun to take “dad” to his first comic convention. Mike, a long-time, 40+ year-old “fan boy” had collected comics most of his life, but had never been to any type of event. Carrie had secretly gotten tickets to Granite State ComicCon and set up the arrangements. As Hannah and Emma were five and eight at the time, they were very excited to participate. And as the parents escorted a Corpse Bride and a Poison Ivy into the world of comic conventioning, there was no turning back. The family was hooked. Since that day back in 2012, the family has continued to work on costumes in their spare time. They gather inspiration from the comics they read, films, pop culture and other cosplayers they have met along the way. To this day, Hannah still keeps in close contact with Jill, a girl from New Hampshire who inspired her very first “Harley” costume. Costume favorites have included; Carrie’s Hell-girl, a Huntress, two Jokers, several Harley’s, a Big Daddy and Little Sister, Wonder Woman, Winter Soldier, Groot, Tara, Hulkbuster, and even a Hulk. With each build the family decides what they want to do and if it can be done. 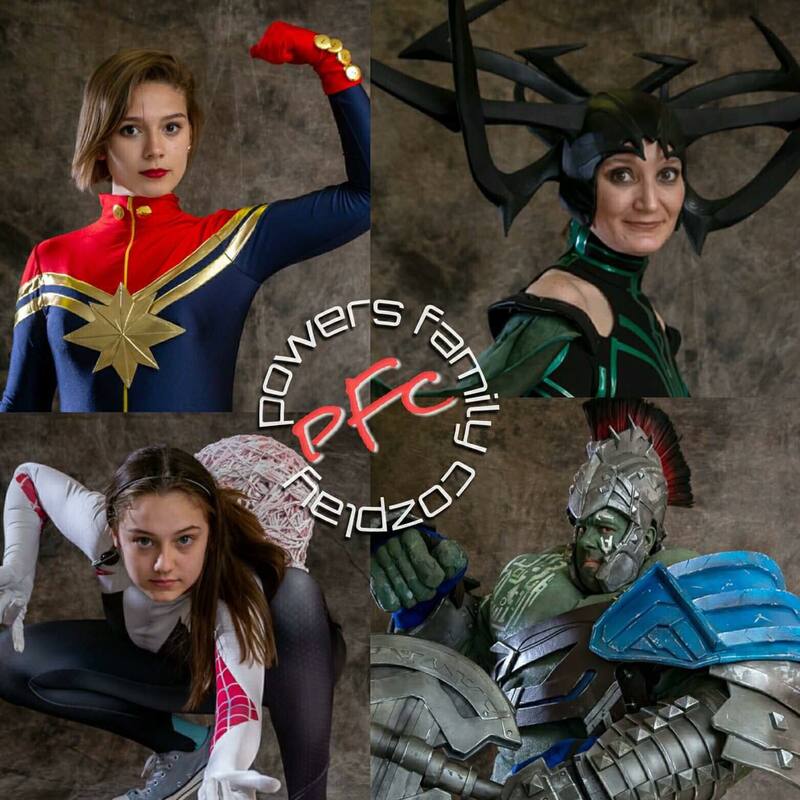 With both parents working full time and no formal training in foam-craft, they work hard on building memorable costumes that will wow the crowds. In the fall of 2015, was established. This community Facebook page was put in place simply to share photos from the events and the fun involved in the family builds. It is encouraged that if you see us out at an event, that you post freely to the site. The kids enjoy managing it and seeing if anything new has shown up.